More about iittala Toikka CMOG Rose Breasted Grosbeak Made especially for the Corning Museum of Glass, this bird is a must-have for serious Toikka collectors. 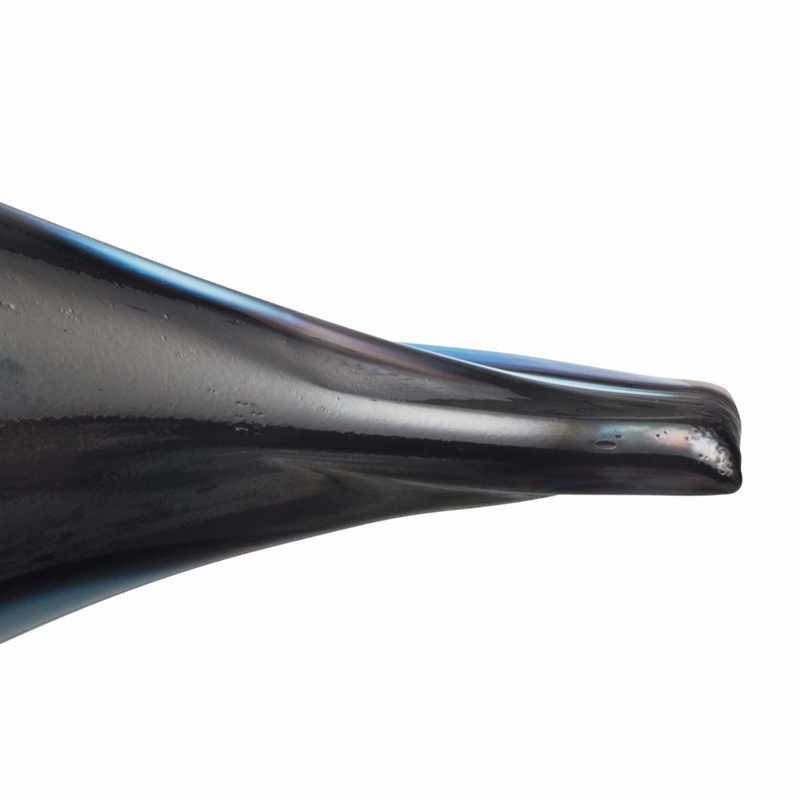 Only 300 of these special edition birds have been produced, and each is numbered x/300 on its base. A large, cone-shaped beak is a distinguishing feature of the iittala Toikka Rose Breasted Grosbeak and its real-life counterpart. 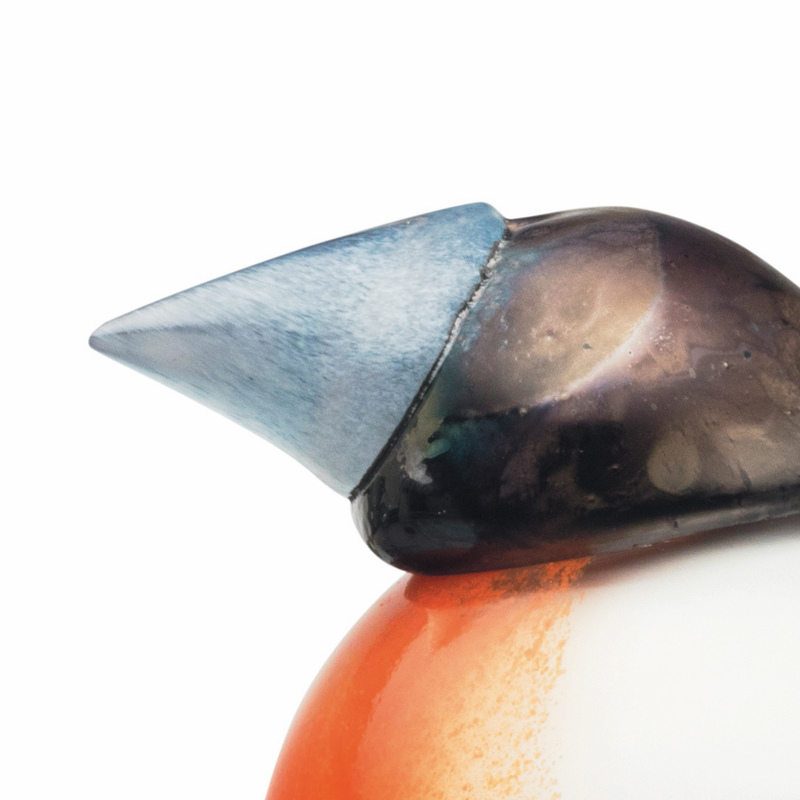 The lustrous finish of its beak is mirrored in detailing on its robust back. The stocky songbirds are part of the cardinal family, and the males share this striking color on their breasts in a chevron shape. The rest of the bird is black and white, giving it bold contrast. 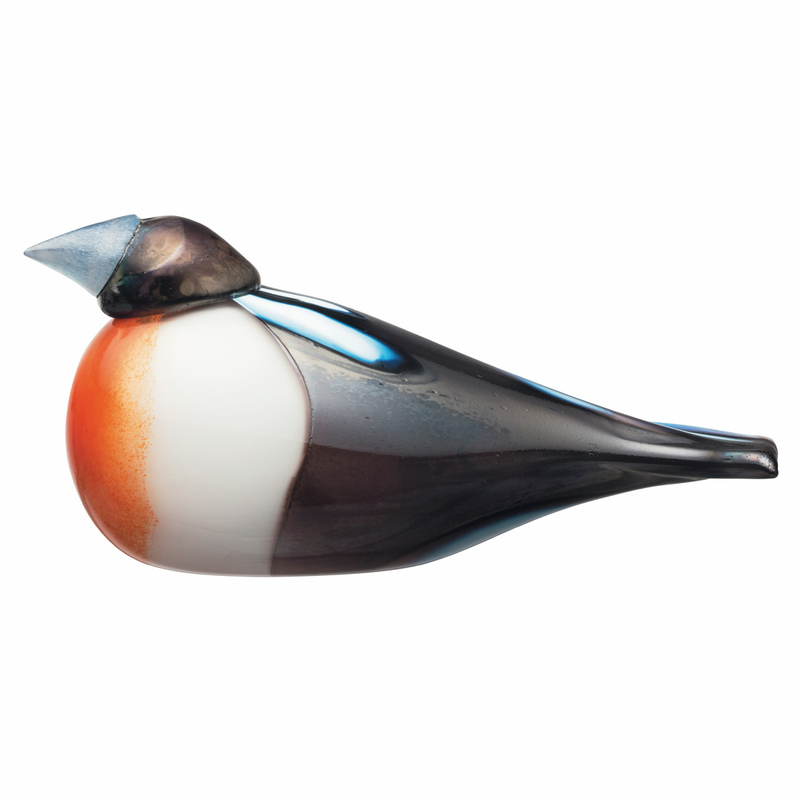 Artist Oiva Toikka captures the rich saturation of this bird in his design, and iittala's glassblowers bring its beauty to life. Each is handcrafted in Finland, making it a unique piece of glass art.